We've had some heavy rains over the last few days and that has raised the pond level a little but also seems to have brought the toads into the shallows. Or maybe it's just because they're maturing a little and feel safer. Or maybe I'm just paying more attention. Whatever the reason, they're really visible around the pond edges. 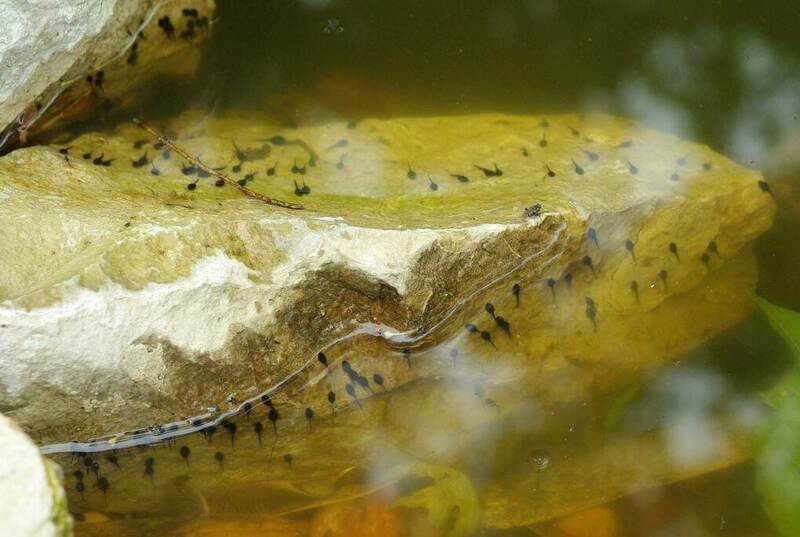 Since I saw the eggs I know for certain there are toad tadpoles here. 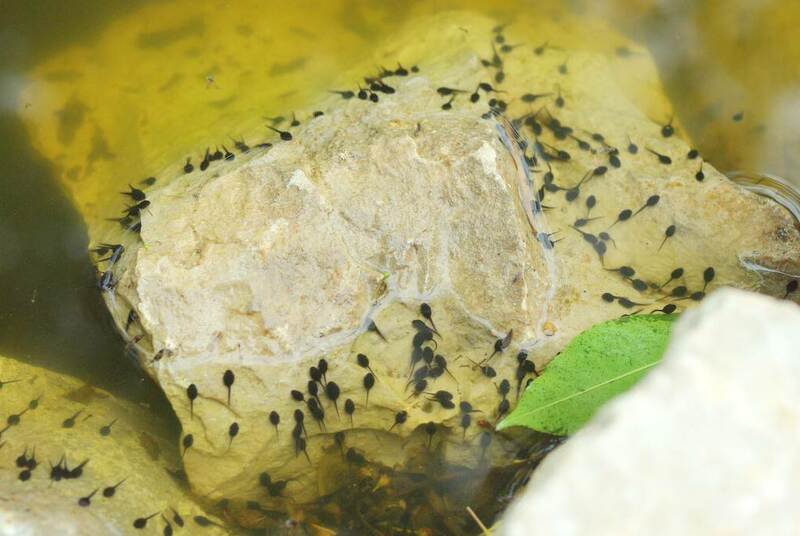 Are there frog tadpoles too? I never saw frog eggs, but that leopard frog was around for more than a month (and he may still be here -- he's shy). I guess time will tell. 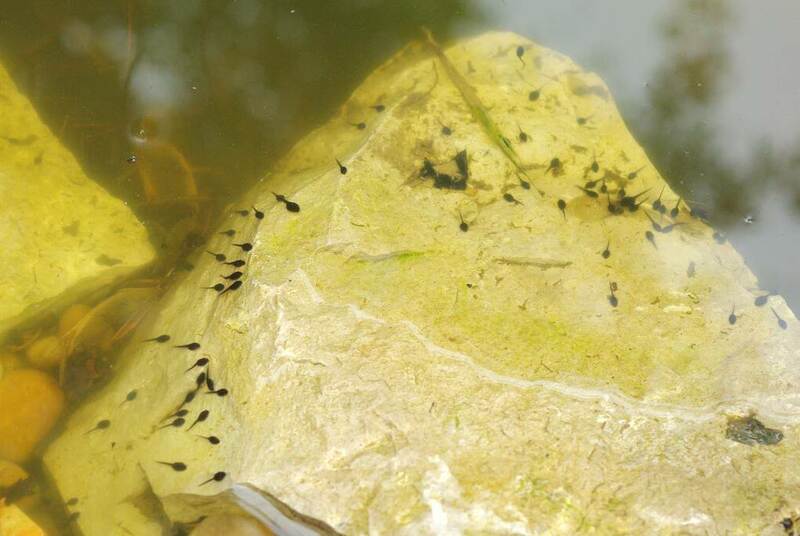 I took these photos over the weekend, and it's interesting that it seems to me that there are even more tadpoles visible now, only two days later! 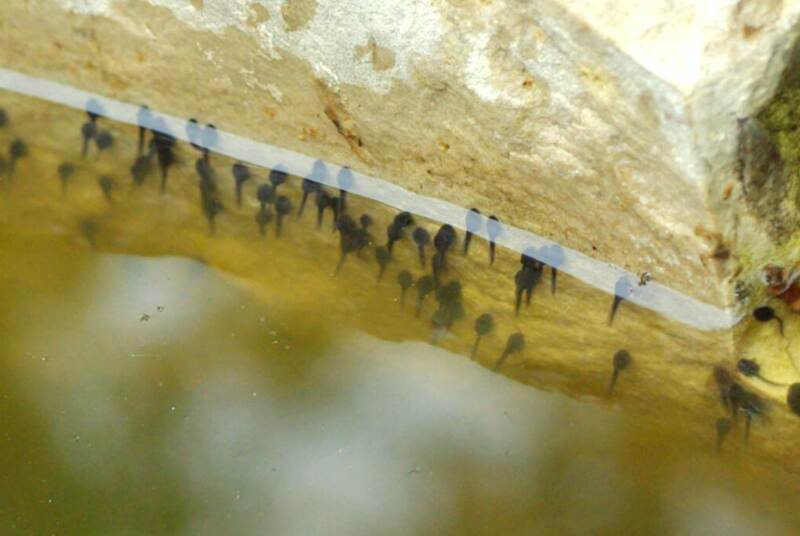 Not long until they start developing legs I think, if my previous experience with toad tadpoles was typical. It's great seeing something swimming around in the water. It makes the pond seem more "right", if you know what I mean. Alive. I'd add goldfish, but I'm waiting until I'm certain there are no frog tadpoles in here. I've read that fish for the most part avoid toad eggs and tadpoles (because of the toxins they contain), but frog spawn is a tasty meal. Yep. You've got a few of them! I'll be very interested to see the story unfold and see how many and what kind of frogs/toads you will have in your pond. These photos reminded me of the woman I was standing next to at the pet shop last year. She was buying a pair of young water snakes to put in her pond to eat some of the eggs. Said her pond was almost solid eggs. I guess that varies, year to year. 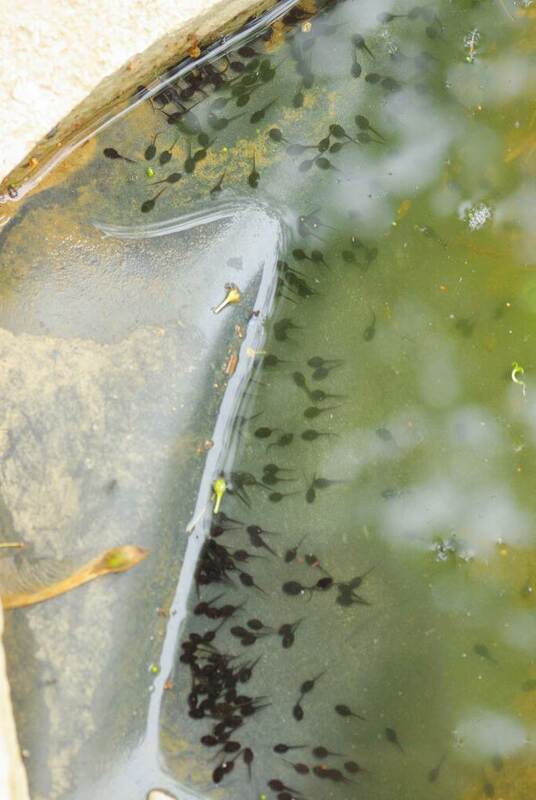 Holy moley, that's a whole lot of tadpoles. How many of them will actually turn into frogs/toads? Gerhard: how many will survive that long? No idea. Since there are no fish, unless birds or raccoons eat tadpoles I think they're safe. 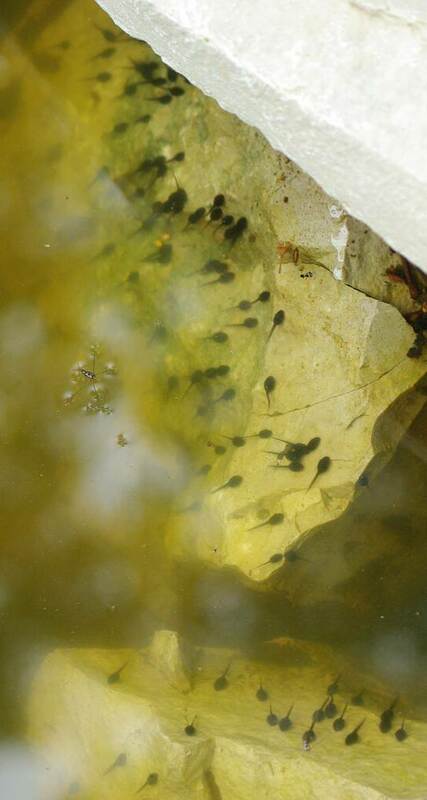 Your ones developed nicely, our tadpoles were black spots one day then after a few very cold nights they were pure white.